Folks, tonight is opening night of the 2018-19 NBA season. I’m not in the basketball mindset whatsoever. This might hamper some people’s ability to create comprehensive, insightful, entertaining pieces about the upcoming season, but, luckily for you, I’m not most people. I’ll shake off the rust and give the quality roundball takes you’ve been jonesing for since the draft. So, here’s 73 thoughts, predictions, takes, and various observations about this season. Why 73? Unless my math is incorrect this is the 73rd season of professional basketball in these United States of America. Easy enough, right? The Golden State Warriors will win the championship. This doesn’t mean the league is ruined or that this season won’t be a ton of fun. The Boston Celtics will win two NBA Finals games this year. The Celtics will have four All-Stars- Kyrie Irving, Al Horford, Gordon Hayward, Jayson Tatum. The snub will cause Jaylen Brown to go on a second-half tear and compete for All-NBA Third team. The Celtics will win 61 games and finish second in the East to the Raptors. The Raptors got Kawhi. Don’t know if you heard. I’m actually interested to watch the Raptors. Every year the narrative was “they’re finally playing team ball and taking less mid-range jumpers” only to play the exact same iso, mid-range heavy style they always do. Now that they no longer have a member of the Mid-Range Holy Trinity on the roster maybe they’ll switch things up. And maybe they’ll stop thinking Kyle Lowry will do well in the playoffs. The Lakers got LeBron. Don’t know if you heard. Lakers will obviously be a sideshow all season with the preposterous roster they’ve put together, but I actually think people are underestimating them. I’ve seen some takes floating around that they won’t make the playoffs. Huh? Since when does a LeBron team win less than 50 games? 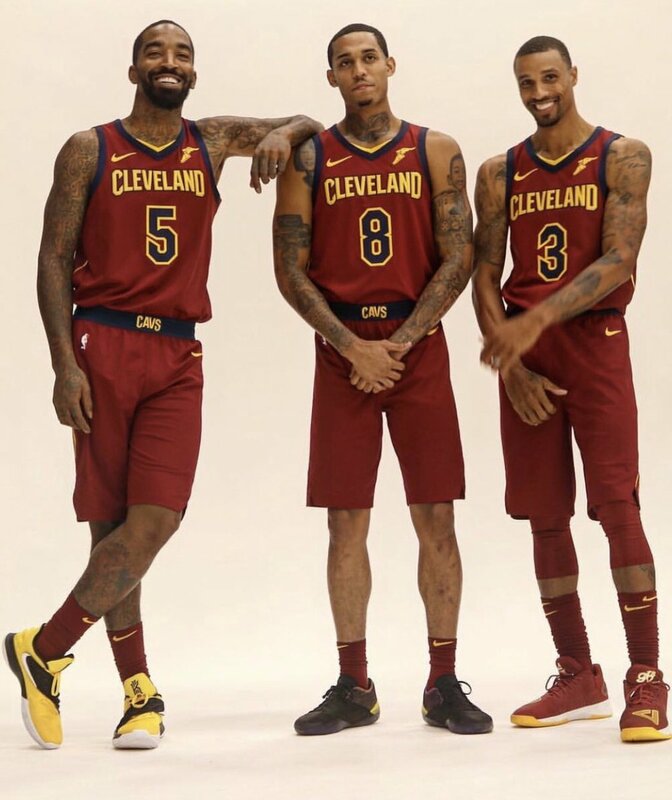 It’s not like this team is any worse than the Cavs last year. 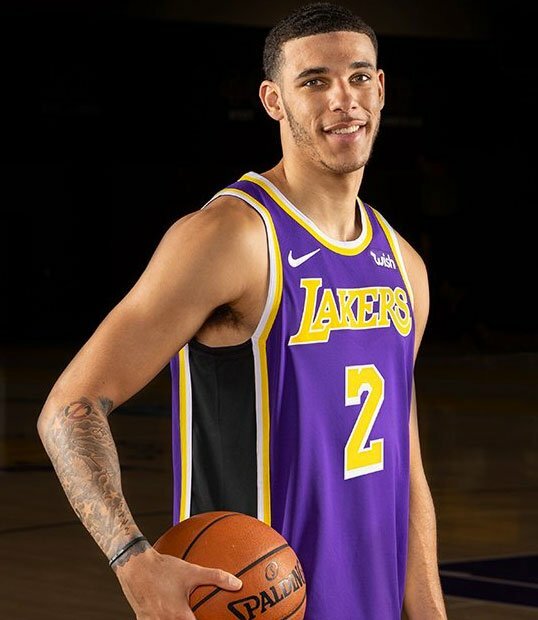 Lonzo Ball- apparently a tattoo sleeve guy, now: Kind of doesn’t fit, honestly. Should have consulted me beforehand. Speaking of new ink, what kind of things did Jordan Clarkson get into during the offseason? When your older brother forces you to join his biker gang against your will. Marcus Smart and J.R. Smith WILL exchange punches at some point this season. I’m glad I was on the right side of history when it comes to Jimmy Butler. I hope people remember there were some Celtics fans who wanted to trade Jaylen Brown and what became Jayson Tatum AND other things for him. It’s not that he’s not good. He clearly is. But no one is every good enough to be his teammate and no one is good enough to earn his respect and nothing can ever make him happy. At some point it’s you, man. His mentality works when you’re Kobe and have a million rings. It doesn’t work when you can’t get out of the first or second round. Also no one makes scoring look harder. He’s the anti-Kevin Durant. That being said, he is the legal owner of the Timberwolves, now. I cannot wait to watch them play. Andrew Wiggins cowering at Jimmy’s feet and KAT glaring at him but never confronting him in any way will be fascinating. 23-59. Speaking of fun to watch, aside from the obvious (Warriors, Celtics, Sixers, Lakers), the most fun team to watch will be….. the Sacramento Kings. Don’t get me wrong, they’re going to stink. But I’m just so curious to watch them. They have 10,000 guys who need minutes, most of them are centers, and almost none of them complement each other. I’m all in on Harry Giles. I love him, De’Aaron Fox, and Marvin Bagley together. So much speed and explosiveness and odd passing chemistry. They’re electric. Anti-chemistry team was going to be clearly the Wizards before the Jimmy drama. Beal and Wall already hated each other before adding in noted locker room guy Dwight Howard. They’re going to be trash. I’m excited for Dwight’s former team the Brooklyn Nets. They are my hometown team, after all. I also own the Barclays Center. I do legitimately like the Nets roster, though. They’re athletic, fast, take a billion threes, and try hard. That’s a good formula for when you start getting better players. They finally have their own draft picks, now! Bucks have a new arena this year called the Fiserv Forum. I have yet to decide if I like the camera angle, lighting, and various arena sounds yet. Stay tuned. Bucks also have a new coach in Mike Budenholzer, who actually knows what he’s doing. If the offense is now more advanced than “hey, Giannis, just go to the hoop and do something,” the Bucks could be trouble. Giannis will win MVP and Khris Middleton will be an All-Star. 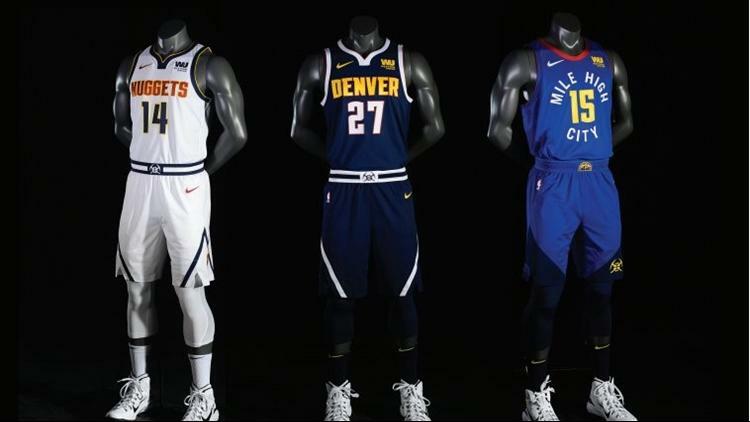 I love the Nuggets’ new white jerseys but the other two are just okay. 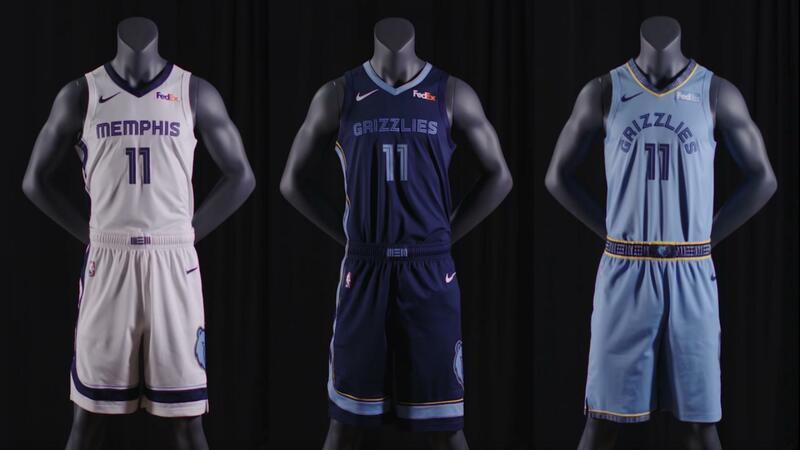 Big fan of the Grizzlies’ entire look. The Thunder’s City edition jersey is apparently Native American influenced and, for the first time since they moved, I can say with confidence: the Thunder have an awesome looking jersey. The Jazz, Hawks, Magic, TWolves, Pacers, Warriors, and Hornets all have some sweet throwbacks this year, too. Legit can’t wait for all the City edition uniforms and Earned edition uniforms to be unveiled. If I could see all of them today but had to take five years off my life I’d do it without thinking twice. This site is awesome if you’re like me and are obsessed with jerseys, warmup gear, and court designs. A trend I like: alternate court designs. The Bucks introduced it a few years ago when they had a different court design to go along with their black alternates, but now almost every alternate jersey comes with its own court design, too. This Hornets one is awesome: The Nuggets have a special Mile High court, the Sixers have multiple courts, the Jazz have multiple courts. Keep being creative when designing courts! They shouldn’t all look the same. I’ve decided I kind of like the jersey ads and I hate the five remaining teams who have decided they’re too good for them. I think I love this rookie class too much. DeAndre Ayton has been a freak in the preseason. The major concern going in was his effort level. If he tries every night? I don’t want to say Dwight Howard is his floor but Dwight Howard might be his floor. 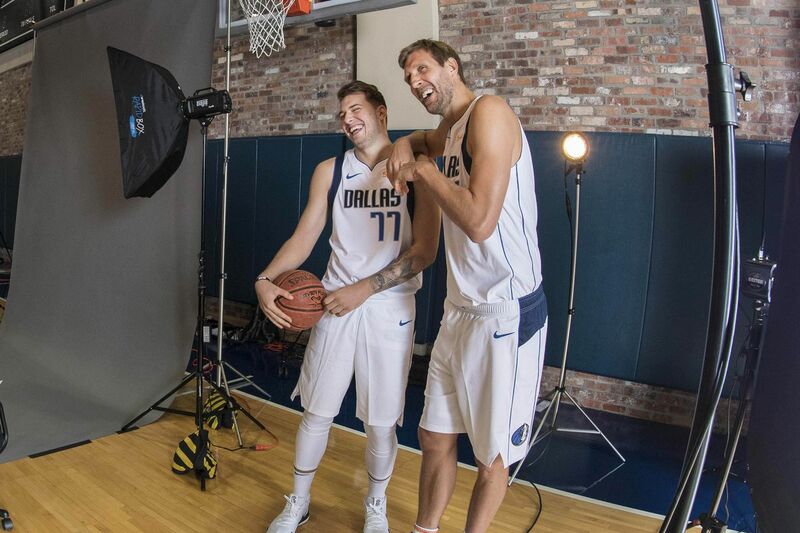 Luka Doncic is my new god. Please respect my decision. This might be Dirk’s final season. Don’t cry because it’s over. Smile because it happened. I will be at the Mavs-Nets game in Brooklyn on March 4th no matter what. Never seen Dirk play so better get it in now. I commend the Spurs for assembling the complete Mid-Range Holy Trinity. The Father (LaMarcus Aldridge), the Son (DeMar DeRozan), and the Holy Spirit (Rudy Gay) will guide them to 43 wins. Many people will say the Sixers will win the East. This is obviously false. Maybe Ben Simmons will take a non-half-court three this year. If he ever gets to like, Blake Griffin-level shooting he’ll be a top five player in the league. But he hasn’t even considered using his correct hand to shoot, yet, so don’t hold your breath. Joel Embiid will dominate some random center (not Aron Baynes, obviously) and trash them on Instagram. My boldest prediction. I try to keep the takes away from the scalding territory, but I need to throw this out there: Anthony Davis is good. Kind of like the Pelicans this year. I expect them to finish 3 or 4 in the West. I love their crazy-fast, balls-to-the-wall, just have AD get 45-15 style. I see no reason why Russell Westbrook won’t average a triple double again this year and it’s crazy that no one cares. Sometime around the trade deadline Kevin Love will start putting up 20-20 games left and right. Purely by coincidence, though. 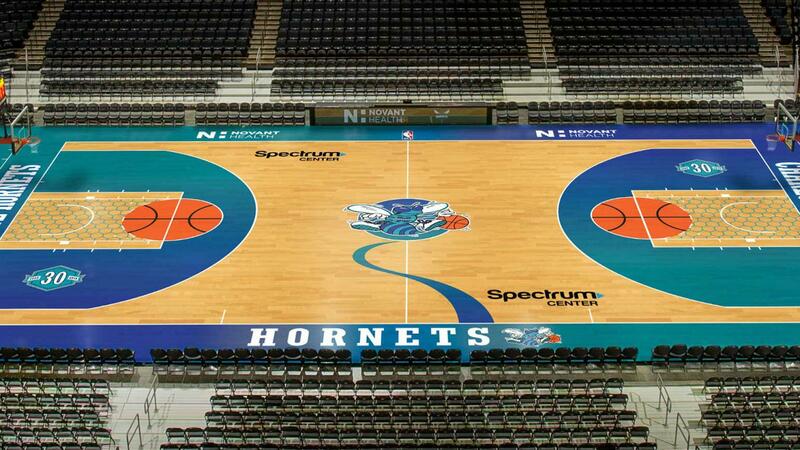 It pains me, but the Hornets are going to be the most boring team in the league. Someone rescue Kemba Walker and Jeremy Lamb. Don’t know if I’ve ever mentioned this, but my freshman year at the University of Connecticut was the year Kemba Walker dragged the Huskies to the national title. Saw him and Shabazz Napier at an Applebee’s one time. I think the all-UConn team might be able to win 37 games this year. Kemba, Shabazz, Lamb, Rudy Gay, Andre Drummond, Daniel Hamilton. Stacked lineup. Someone will join Steph Curry in the 300 made 3s in a season club. New York Knicks, Miami Heat, L.A. Clippers, Chicago Bulls, Portland Trail Blazers. There, mentioned every team at least once.